Buy works – Meshcherskiy Arseniy Ivanovich | (1834, Tver Guberniya - 1902). Meshcherskiy Arseniy Ivanovich (1834, Tver Guberniya - 1902). Academician, professor of landscape painting. Studied at the St. Petersburg Academy of Arts (1854 – 1857) in F. Bruni’s and S. Vorobyov’s classes. 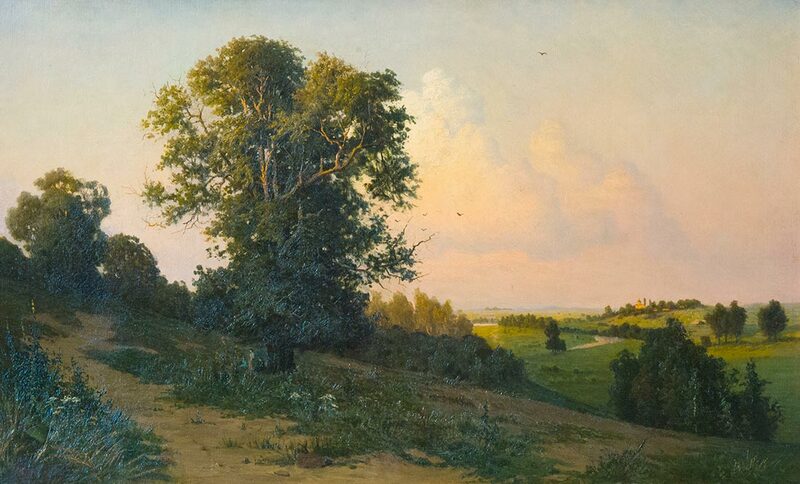 The master’s landscapes used to be acquired by P. Tretyakov. His artworks can be found in the State Tretyakov Gallery and the State Russian Museum. Summer landscape with a river. 3500000 - 4000000 rub. 3500000 - 4000000 rub. 780000 - 900000 rub. 780000 - 900000 rub.